Your Porter App is a mobile-first property management app designed to help professional Airbnb hosts improve guest communication, coordinate teammates and increase reviews, through automated messages, a unified inbox and teammate management tools, plus channel management technology, flight status tracking, and more. With native iOS and Android apps, push notifications, and WhatsApp integration, Your Porter App gives users the flexibility to manage tasks on-the-go via mobile devices. 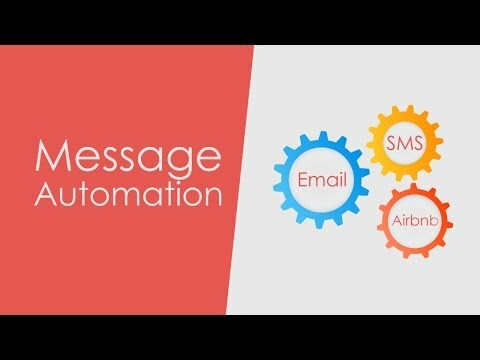 Message automation allows users to schedule and automate native Airbnb messages, emails, text messages, and WhatsApp messages. Users can define their own set of rules, then assign the autopilot, before delivering personalized messages to guests. Automated messages help with initial inquiries as users can ask guests for information including flight details and expected arrival times. Your Porter App stores all guest phone numbers, giving users centralized access to their complete contact list. Your Porter App supports a unified inbox, allowing users to consolidate multiple Airbnb accounts into a single inbox. Multiple listings and accounts are also combined in a single dashboard, so that users can schedule daily operations simply and efficiently. Your Porter App’s channel management tools allow users to import calendars from other channels, as well as sync availability and rates between Airbnb and Booking.com in real time. iCal sync is available for HomeAway/VRBO, TripAdvisor, CanadaStays, and Wimdu. Personal reminders help users collect guest reviews, while flight status tracking technology informs users of delays or changes on flights. I love the emails being sent from my own email address so replies are sent directly to that. But one limitation I found was that only one attachment was allowed to be sent along with the emails. However I found a workaround to save all of the attachments as a single Zip file which has worked. It would be even better if we could share the Timeline as we can the Calendar to the extended team. Your Porter App helps automating routine tasks in guest and service team communications; it enables a pro-service (no more forgotten messages) and therefore a better guest expierience and saves endless time managing the lisitngs.This app resolves a lot of headaches for the Airbnb host; it automates the messinging with the guests and cleaning service and other tasks. Once understood it adapts easily to the hosts needs. Other useful features are a channel mangement service and ical syncronisation with different OTAs. It also works with booking.com. The daily event overview is very comprehensive and gives me a nice overview of what will be up at my lisintgs for the day and next days. Great cusotmer service! This app resolves a lot of headaches for the Airbnb host; it automates the messinging with the guests and cleaning service and other tasks. Once understood it adapts easily to the hosts needs. Other useful features are a channel mangement service and ical syncronisation with different OTAs. It also works with booking.com. The daily event overview is very comprehensive and gives me a nice overview of what will be up at my lisintgs for the day and next days. Great cusotmer service! I havn't discoverd so far if the app allows to send adapt the messages to guest's prefered language (for example German for Germans, French for French etc.). I'm missing a self-booking function with an integrated calender and payment tool that could be imported easily to a website. I have used their customer support. It was decent. It would be cool to have an option to pay, and get immediate customer service, instead of waiting in line, but that’s all. It has been a Very good platform so far. After researching for a month, all the different management apps, and trying Booking Automatuon, Smoobu, Tokeet, and a couple others I have forgotten. I like that Your Porter has a smartphone app, a website builder for taking direct bookings, integration with BeyondPricing, Wheelhouse pricing, PriceLabs pricing. It can take price info from Airbnb (I use Wheelhouse pricing on Airbnb), then mirror the prices over to Booking.com, and to your direct book website. It has other good features, but the ones I mention were the defining ones for me. It is also priced fairly. After researching for a month, all the different management apps, and trying Booking Automatuon, Smoobu, Tokeet, and a couple others I have forgotten. I like that Your Porter has a smartphone app, a website builder for taking direct bookings, integration with BeyondPricing, Wheelhouse pricing, PriceLabs pricing. It can take price info from Airbnb (I use Wheelhouse pricing on Airbnb), then mirror the prices over to Booking.com, and to your direct book website. It has other good features, but the ones I mention were the defining ones for me. It is also priced fairly. It is improving, but at this point, VRBO is not integrated directly into Your Porter. In order to use VRBO, I had to use regular .ics calendar synced between VRBO and Airbnb, and had to use BeyondPricing to manage prices in VRBO. Easy and robust, fast, and good value for money, but limited functionality. YP has enabled us to forecast, plan and track bookings and tasks easily.Never crashes. Staff has easily adopted it. Quickly updates changes. Cheap monthly rates. Never crashes. Staff has easily adopted it. Quickly updates changes. Cheap monthly rates. Only works with Airbnb and Booking, and with Booking functionality is limited, especially when it comes to messaging and price-setting. We would also like multiple staff to have logins, instead of everyone using the same login. Users can sync their availability and prices in real time between Airbnb and Booking.com, ensuring everyone has access to the most up-to-date information. iOS, Android and web apps allow users to manage their properties anytime, anywhere, from their mobile device. Users can check calendar updates, to-dos and reminders for multiple accounts from a single, centralized timeline. Message automation tools allow users to send personalized Airbnb messages, emails, SMS messages, and WhatsApp texts to guests, with an auto inquiry response feature designed to boost response rate. Users can send task lists to teammates in order to schedule daily operations, such as cleanings and check-ins. Below are some frequently asked questions for Your Porter App. Q. What type of pricing plans does Your Porter App offer? Q. Who are the typical users of Your Porter App? Q. What languages does Your Porter App support? Q. Does Your Porter App support mobile devices? Q. Does Your Porter App offer an API? No, Your Porter App does not have an API available. Q. What other apps does Your Porter App integrate with? Q. What level of support does Your Porter App offer?